Phenotype of Sp1-induced CD8+CD28− T lymphocytes in vivo. C57BL/6 WT mice were challenged intraperitoneally with Sp1, mSp1 (100 μg/mouse, respectively), or SCCA alone. After 18 h, spleen cells were isolated. Cells were stained for CD8 and CD28 surface expression and prepared for flow cytometry. Flow cytometry histograms in A–C are representative for one out of five experiments with 4 mice each. A. Intraperitoneal Sp1 application induces CD8+CD28− T lymphocytes in vivo. 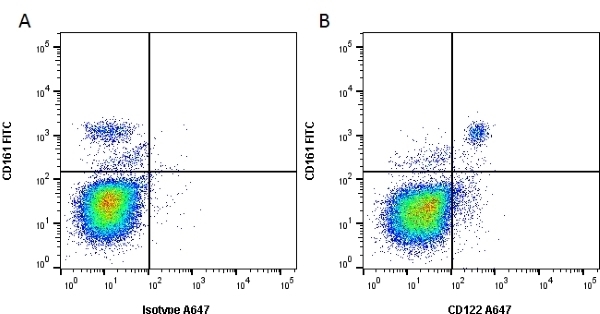 The percentages ±SD (n = 4) of the respective CD8+CD28− cells are given above the marker. B. For determination of the phenotype of the Sp1-induced CD8+CD28− T lymphocytes in C57BL/6 mice, CD8+CD28− and CD8+CD28+ T cells were stained with antibodies specific for surface markers and prepared for flow cytometry analysis. Percentages of positive cells±SD (n = 4) for the CD8&plus;CD28− and CD8+CD28+ T cell subsets are displayed above the marker. C. C57BL/6 WT mice were challenged intraperitoneally with Sp1, mSp1 (100 μg/mouse, respectively), or SCC alone. After 18 h, spleen cells were isolated. CD8+CD28− cells were analyzed for LAP surface expression and intracellular cytokines by flow cytometry. Percentages of positive cells ±SD (n = 4) are given below the marker. Streptococcus pneumoniae Serotype 1 Capsular Polysaccharide Induces CD8+CD28− Regulatory T Lymphocytes by TCR Crosslinking. Rat anti Mouse CD122 antibody, clone TM-BETA 1 recognizes the murine CD122 cell surface glycoprotein, a ~75-85 kDa molecule also known as interleukin-2 receptor (IL-2R) beta chain. In mouse, CD122 is primarily expressed on natural killer (NK) cells and at lower levels on lymphocyte subsets, monocytes and macrophages. CD122 can associate with the IL-2R alpha chain (CD25) and CD132 to form a functional high affinity receptor complex that binds IL-2. CD132/CD122 heterodimers can also be formed which bind IL-2 with intermediate affinity. IL-2 binding to the IL-2R is important in the generation and differentiation of T lymphocytes and NK cells. Rat anti Mouse CD122 antibody, clone TM-BETA 1 blocks IL-2 high affinity binding to the IL-2R beta receptor (Tanaka et al. 1991). Cells from murine IL-2RB+ transformant TART-mBeta. Lymph node cells from immunised Sprague Dawley rats were fused with cells of the mouse PA1 myeloma cell line. Where this antibody has not been tested for use in a particular technique this does not necessarily exclude its use in such procedures. It is recommended that the user titrates the antibody for use in their own system to a concentration equivalent to their test reagent. Tanaka, T. et al. (1991) A novel monoclonal antibody against murine IL-2 receptor beta-chain. Characterization of receptor expression in normal lymphoid cells and EL-4 cells. J Immunol. 147 (7): 2222-8. Leung, K.T. < i> (2011) The tetraspanin CD9 regulates migration, adhesion, and homing of human cord blood CD34+ hematopoietic stem and progenitor cells. Chenoweth, M.J. et al. (2012) IL-15 Can Signal via IL-15Rα, JNK, and NF-κB To Drive RANTES Production by Myeloid Cells. Mertens, J. et al. 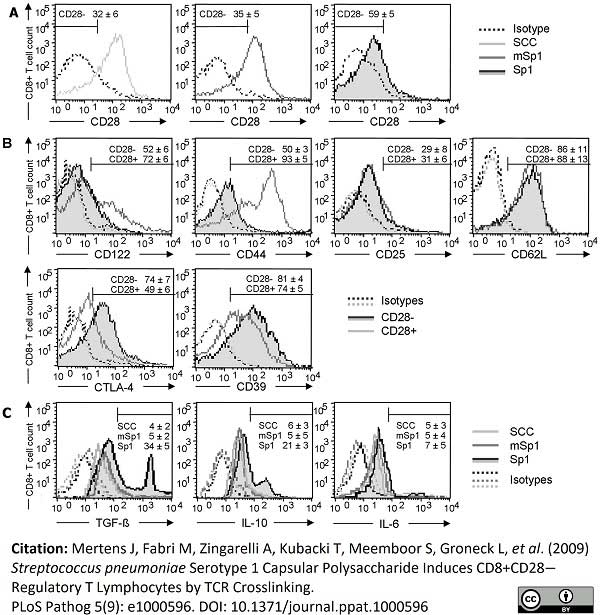 (2009) Streptococcus pneumoniae serotype 1 capsular polysaccharide induces CD8CD28 regulatory T lymphocytes by TCR crosslinking. PLoS Pathog. 5 (9): e1000596.